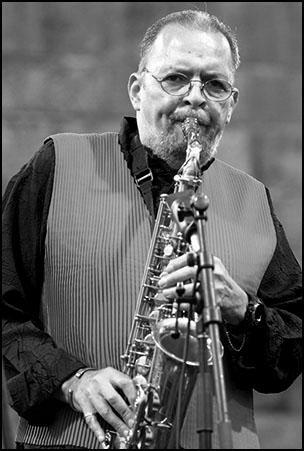 Jackie Mclean has long had his own sound, played slightly sharp and with great intensity; he is recognizable within two notes. McLean was one of the few bop-oriented players of the early '50s who explored free jazz in the '60s, widening his emotional range and drawing from the new music qualities that fit his musical personality. The son of guitarist John McLean (who played guitar with Tiny Bradshaw), Jackie started on alto when he was 15. As a teenager he was friends with such neighbors as Bud Powell, Thelonious Monk, and Sonny Rollins. He made his recording debut with Miles Davis in 1951 and the rest of the decade could be considered his apprenticeship. McLean worked with George Wallington, Charles Mingus, and Art Blakey's Jazz Messengers (1956-1958). He also participated on a string of jam session-flavored records for Prestige and New Jazz which, due to the abysmal pay and his developing style, he later disowned. Actually they are not bad but pale in comparison to McLean's classic series of 21 Blue Note albums (1959-1967). On sessions such as One Step Beyond and Destination Out, McLean really stretches and challenges himself; this music is quite original and intense yet logical. McLean also appeared as a sideman on some sessions for Blue Note (most notably with Tina Brooks, acted in the stage play The Connection (1959-1961), and led his own groups on a regular basis. By 1968, however, he was moving into the jazz education field and other than some SteepleChase records from 1972-1974 (including two meetings with his early idol Dexter Gordon) and an outing for RCA (1978-1979), McLean was less active as a player during the '70s. However in the '80s Jackie McLean returned to a more active playing schedule (sometimes with his son René McLean on tenor), recording for Triloka, Antilles, and most recently (with a renewed relationship) with Blue Note -- without losing the intensity and passion of his earlier days.